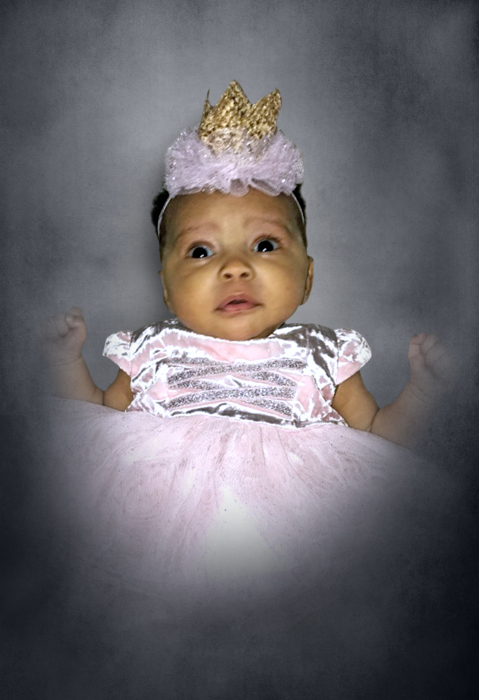 3 month old Fanci Siddhartha Burns, the daughter of Matthew Pickard and Faedra Burns went home to be with the Lord, Sunday morning February 10, 2019 at the St. Thomas DeKalb ER. Fanci was born November 16, 2018 in Cookeville. She was preceded in death by her great grandparents: Thomas & Carol Pickard. In addition to her parents, she is survived by her grandparents; Edward Burns and Milinda League both of Smithville, Shanon & Kaye Pickard of Kingston Springs; Great Grandparents: Joe & Gloria Biggs of Ashland City, Dorothy Burns of Lebanon; Several extended family and friends also survived. A graveside service will be held 1:PM Thursday February 14, 2019 at DeKalb Memorial Gardens with Bro. Dwayne Cornelius officiating. There will be no visitation or services held at the funeral home. Family and friends will meet at the cemetery for the graveside service at 1:PM. In lieu of flowers, the family asks that donations be made to DeKalb Funeral Chapel to help with cemetery expenses. The family would like to extend their sincere appreciation to Northside Church of Christ, Chaplain Dwayne Cornelius and to everyone that has assisted and prayed for them during this time. DeKalb Funeral Chapel is in charge of the arrangements.